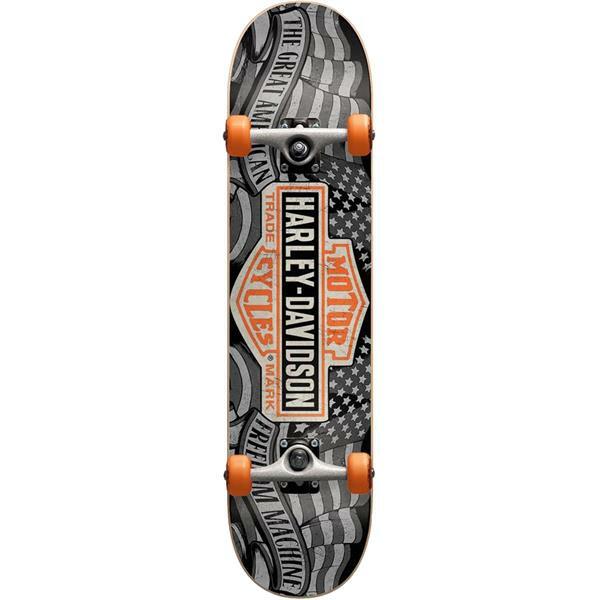 Get your little grom up and rolling on the Darkstar Harley-Davidson Freedom Mid Skateboard Complete. Designed and built from the ground up with young beginner skaters in mind, this 7-ply hard rock maple deck with Stiff Glue Extra, the strongest water-based glue, this deck is still as strong as an adult board. Complete with Carbon Steel Speed Bearings for wheels that will roll forever and a softer bushing for easy turning even for the youngest of rippers. Start your kiddo out on the right foot with the Darkstar Harley-Davidson Freedom Mid Skateboard Complete.